Your sign is mutable, which means that change – any change, even negative – has a positive influence on your life; for you, change is always a chance to improve something.  So, you are quite eager to experience the change of energy that accompanies Mercury Retrograde and to use it in your favor. Oh, but try to minimize social networking for the time being unless you want to get even more frustrated. Top long-distance relationship tips for Gemini. New romantic opportunities for Gemini.